Not much has been written about Zach Lee by, well, anyone this spring — or since the beginning of last season. But his performance in relief of Clayton Kershaw showed some of what he could bring to a big league team. Let’s preface this by stating the obvious: This was a spring training against the Royals’ B-squad (after the starters were lifted), so it isn’t like he was facing an offensive juggernaut. But Lee’s ability to miss bats and throw quality innings was encouraging. Of course, 26-year-old Brett Eibner got to Lee for two home runs, but Lee was almost untouchable for the majority of his outing. 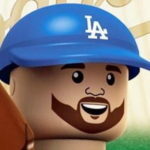 Lee isn’t known as a strikeout pitcher, and because he missed bats with the breaking balls in this game doesn’t mean he’s going to be a strikeout-per-inning guy, but it’s nice to see a little more bite on his breakers. But, he also allowed his two home runs on his breaking pitches (Eibner!) — a curveball and slider. The most impressive pitch of the six strikeouts was the changeup. It featured some good fade and the hitter was way out in front of it. The curveball he got his first strikeout on was really good, too. The last pitch was a mistake, but luckily it was so high the hitter couldn’t have done anything with it. Lee should spearhead the Oklahoma City rotation, and should fare better outside the hellish confines of Isotopes Park. His prospect star has yet to burn out. He isn’t going to be the next Chad Billingsley, but he still has a chance to be a solid, serviceable MLB starter. A pitcher like that has value to his current club or a future club.